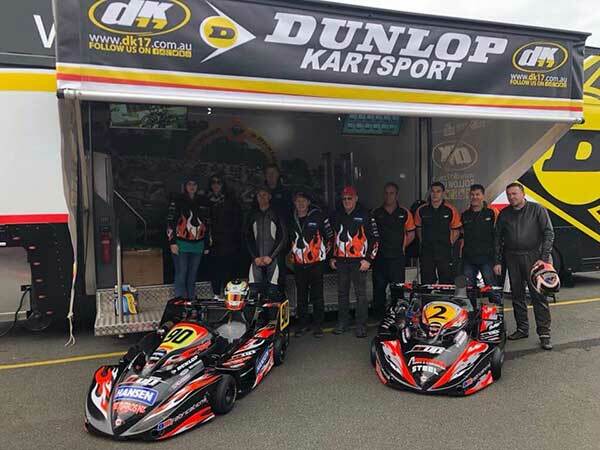 Kiwi kart ace Ryan Urban was quick but unlucky at the opening round of this year’s Superkarts Australia National Series at Phillip Island over the June 23-24 weekend. 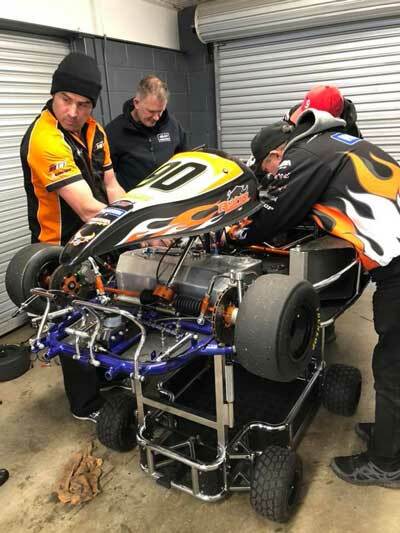 Reigning and now two-time NZ Superkarts #1 Urban from Auckland and current NZ#2 Teddy Bassick from Taupo crossed the Tasman with high hopes. Urban more than matched those when he was second quickest in practice (on a track he has never driven on before and on a cold and wet day), claimed pole position in qualifying then won the first race of the weekend – in the rain again – on Saturday afternoon. In the dry but still cool conditions on Sunday however he was slowed in the second race of the weekend (eventually finishing fourth) by what turned out to be a broken power valve stud, forced out of the third race with a gear selection issue, then forced to pit after just taking the lead in the fourth and final race when the spare engine he and his team of helpers had fitted between the two races suddenly lost power. “Yeah, but really,” Urban said back home in Auckland on Tuesday, “I was just unlucky. 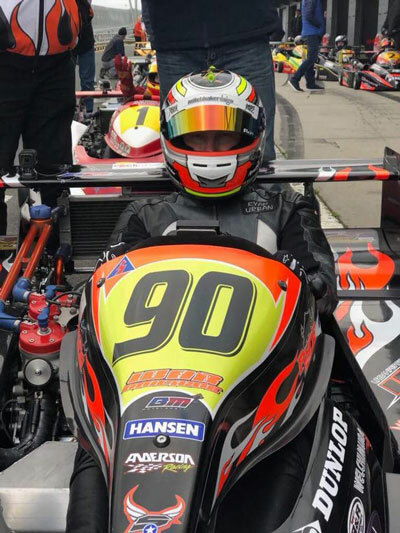 The kart has been so reliable here that it sort of comes as a bit of a surprise when something breaks or let’s go but these things happen in the heat of competition so there’s no use blowing a fuse about it. If he has one – small – regret, Urban says it would have to be the fact that he wasn’t able to see just how quickly he could lap the famous Phillip Island track in the dry. With their powerful, purpose-built 250cc 2-stroke engines and sleek ‘lay-down-style’ bodywork and adjustable rear wings the 250cc International karts Urban and Bassick drive are some of the quickest four-wheel vehicles around the fast, flowing 4.445 km circuit, with the current Superkart lap record, a 1.28.419, set in 2013 by top Australian driver Russell Jamieson. The closest anyone got to that over the weekend was quickest qualifier and Race 3 & 4 winner Ilya Harpas with a 1.29.9829 set in the race Urban suffered the gear selection issue. At 1.33.4411 Urban/s best lap (set in that race) was still quicker than a Formula Ford single-seater (Anton DePasquale set that record, a 1.35.8901 in 2013) but well shy of the current Supercars benchmark set by Scott McLaughlin (a 1.31.2142) and best lap by a GT3 sportscar, the 1.27.1505 set by Jack LeBrocq in a Mercedes Benz SLS a year earlier.